The Internet is abuzz with mansplaining, a word coined probably fewer than ten years ago for a phenomenon that emerged much earlier. The panel of experts is made up of four extraordinary women. Here are some highlights from the recording. Mansplainer Bob tells the panelists that women find gratification through marriage and domesticity. To prove his point he reminds them that “We have an instance here, however, where one of the members of the panel is not married.” Presumably, he means the Sister, so it is likely she who asks the question, “Am I the only unmarried member?” After a few audible I’m nots, it is revealed that the moderator is, in fact, the only married person present. After laughing this one off, he tells the panel that the source of their gratification is their careers. In spite of all the progress in equality for women and a history of objectifying women and second-rate citizenry, the mansplainer reminds the panel that it is still, even in 1970, the man’s responsibility to find a mate, to initiate the romantic cycle. I feel grateful to these women and their cohort for ensuring my not having to explain why I wanted to enter a man’s profession and don’t have to ask my husband permission to see a female doctor. It’s a darn good thing this moderator was there to explain the psychology of the modern woman to you experts. I may just take their advice and start my day tomorrow with this little pep talk. Have a listen to the full panel discussion for more context and the complete dialogue: https://youtu.be/FTdPz4RfVl0. 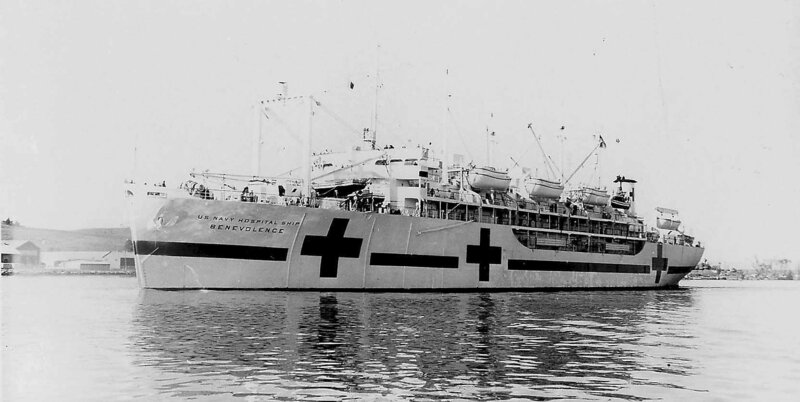 – Contributed by Lizette Royer Barton with digitization assistance from Jodi Kearns. Francis Cecil Sumner in his doctoral robes. Listen to Kenneth Clark comment on Sumner’s high standards when it came to education at the link below. Many of us recognize Sumner’s name because he was a “first.” However, it could be said that the most important part of his legacy was his work in establishing the Psychology Department at Howard University and the teaching and training of numerous African American psychologists. Sumner joined the faculty at Howard University in 1928. 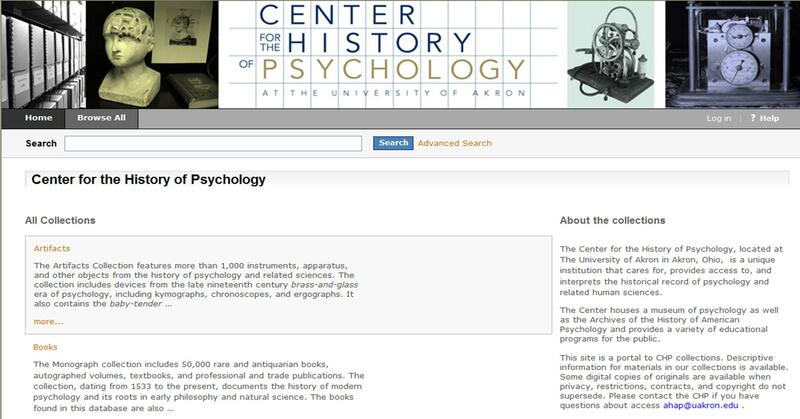 As was common in many historically black colleges, psychology courses were taught in the education and philosophy departments. 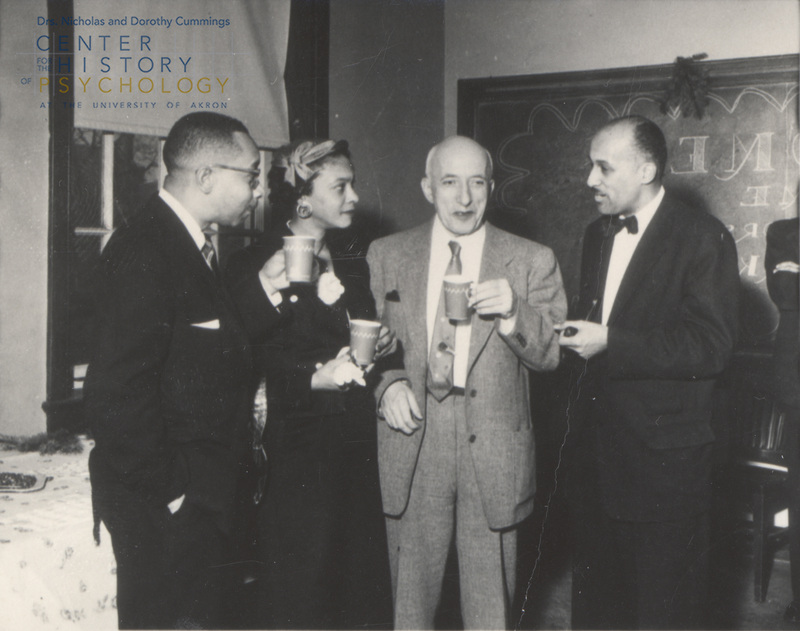 Sumner believed in order to properly train Black psychologists an independent department of psychology was of the utmost importance. 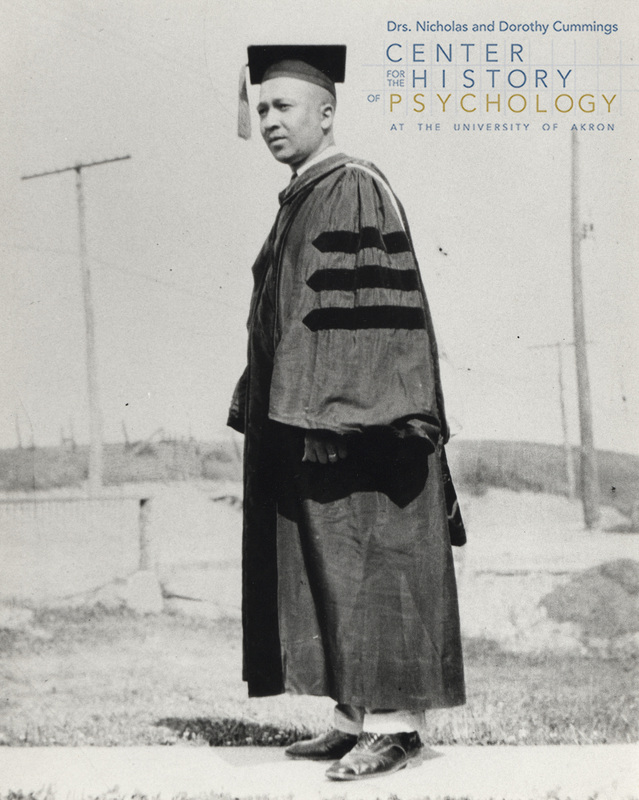 In 1930, with the support of Howard’s president, Sumner established the psychology department and was promoted to full professor and head of the department that same year. He was assisted in the department by Frederick P. Watts, a graduate student, and Max Meenes, a professor of psychology and fellow graduate of the Clark University doctoral program. 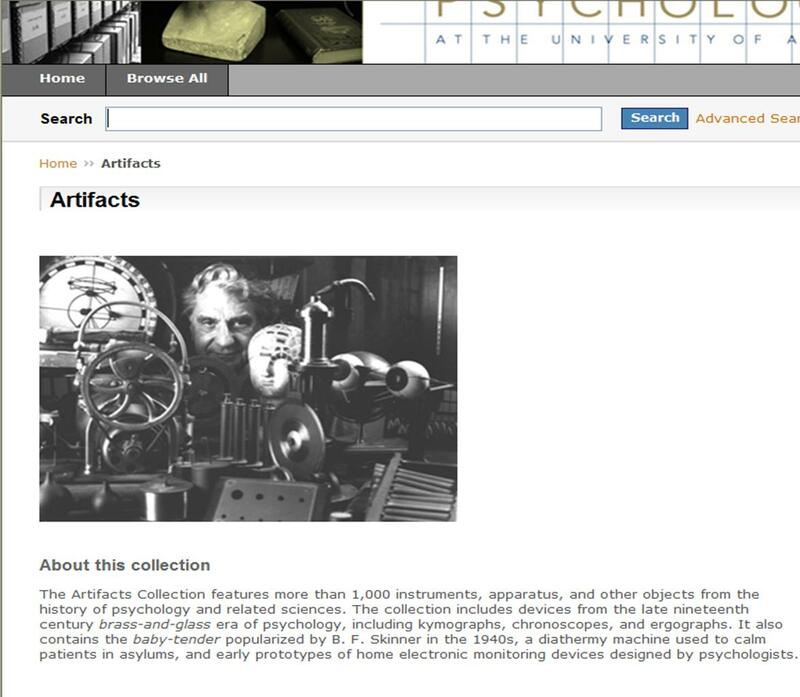 Listen to Max Meenes discuss the start of Howard’s psychology department below. Howard offered training up to the Master’s level with a focus on laboratory and experimental psychology. In the audio clip below Max Meenes discusses why they kept the program at the Master’s level and how they prepared students for doctoral work elsewhere. Kenneth B. Clark, Mamie Phipps Clark, Max Meenes, unidentified. 1957. Well-known graduates of the Howard University Psychology Department include Kenneth and Mamie Phipps Clark, both of whom went on to earn doctoral degrees from Columbia University. Kenneth Clark in particular stressed the influence Sumner had on him while at Howard and the importance of his time in the department. Listen to Kenneth Clark talk about Sumner’s influence on his own education and career as a psychologist. To learn more about Francis Cecil Sumner please check out Robert V. Guthrie’s seminal book, “Even the Rat was White: A Historical View of Psychology.” And to learn even more pay a visit to the Cummings Center for the History of Psychology and take a look at the Robert V. Guthrie papers, which include the incredible sound recordings featured above.